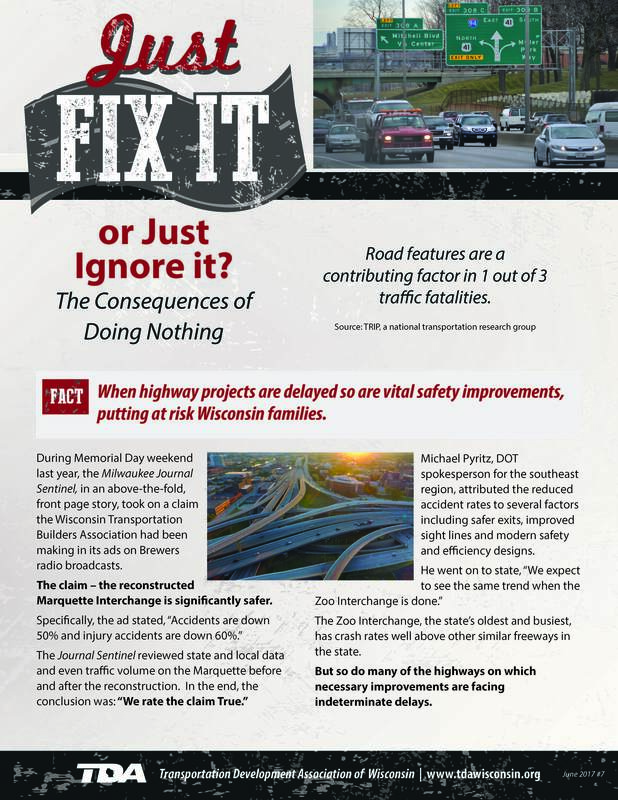 A recent release from the Transportation Development Association highlights the safety implications of project delays. When a project like the I-94 East-West corridor is delayed so are the safety improvements. The East-West currently carries between 140,000 and 160,000 vehicles per day – 30,000 more than its 1950s-era design intended. Left-side ramps, narrow shoulders, short weaving distances and other outdated features fail to provide safe operating conditions for today’s cars, buses and large trucks. The average crash rate is 2-3 times higher than the statewide urban freeway average and at some points, more than 4 times higher. 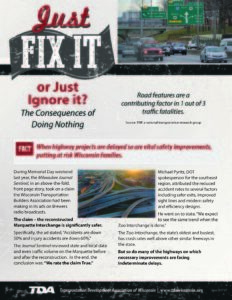 The Marquette Interchange also had safety challenges and higher than average crash rates. After reconstruction, it is significantly safer. Accidents are down 50% and injury accidents are down 60%.